If, like many parents of children with autism, you are tackling the job of raising your child on your own, Plan B: Parenting Solo With a Child on the Autism Spectrum is the resource you need. 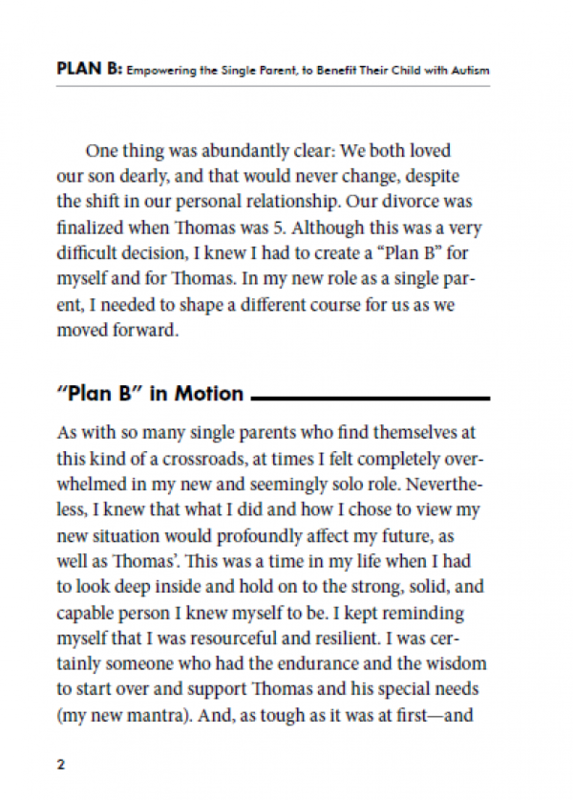 Plan B will help you to make your own road map towards thriving while you solo parent. 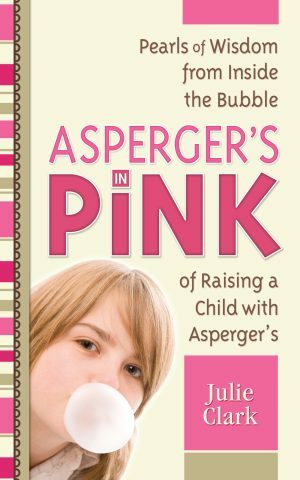 How will you explain divorce, separation or death to your child with autism? 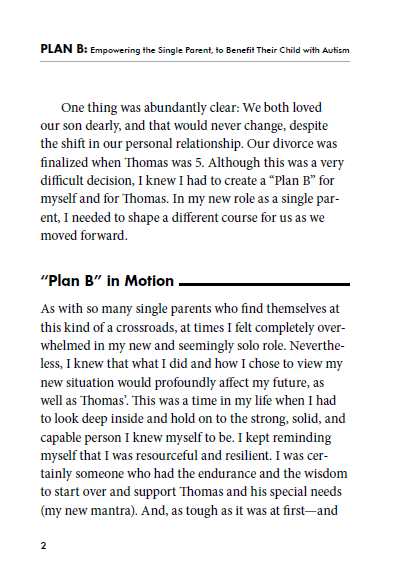 How can you maintain consistency across two households? 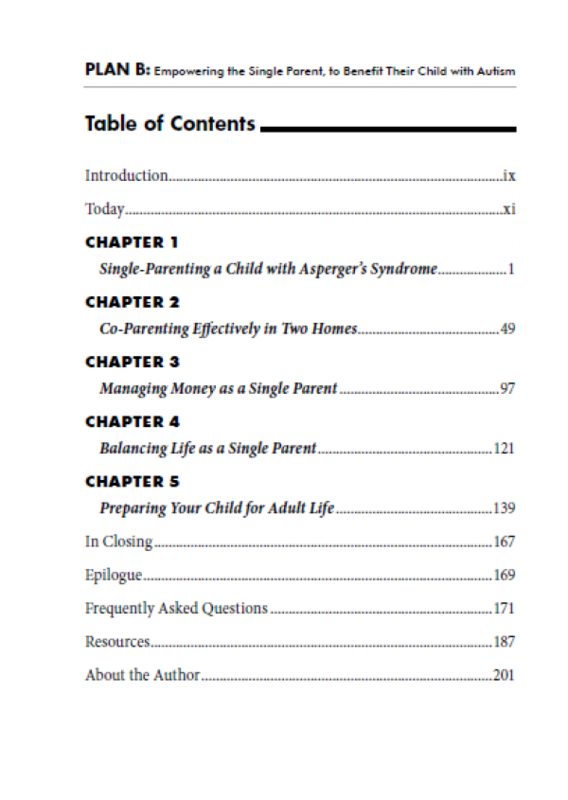 How can you adjust your budget and therapy schedule? 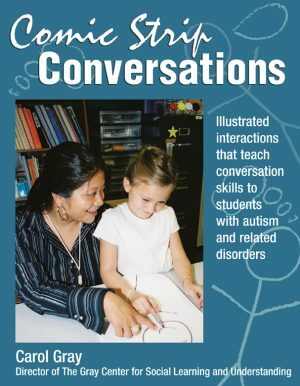 What resources will you need? 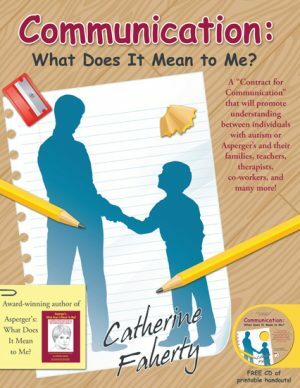 How can you build a new network of support? 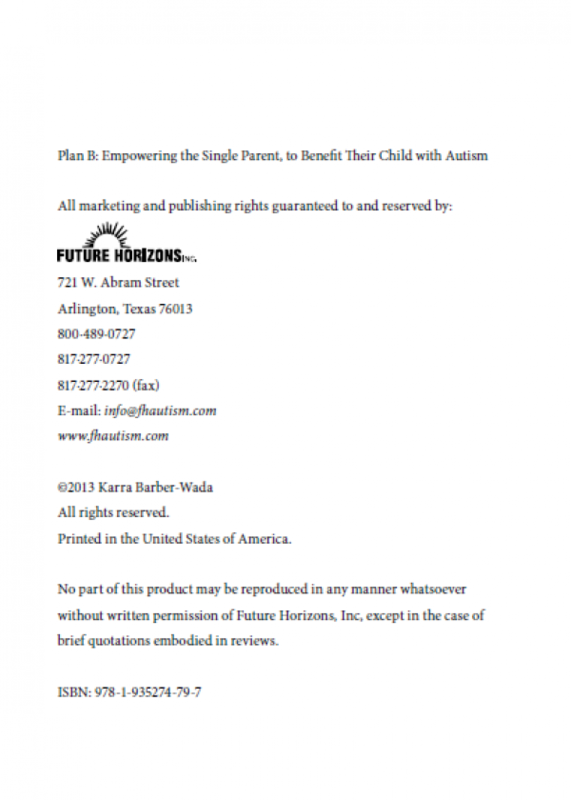 Plan B can help! 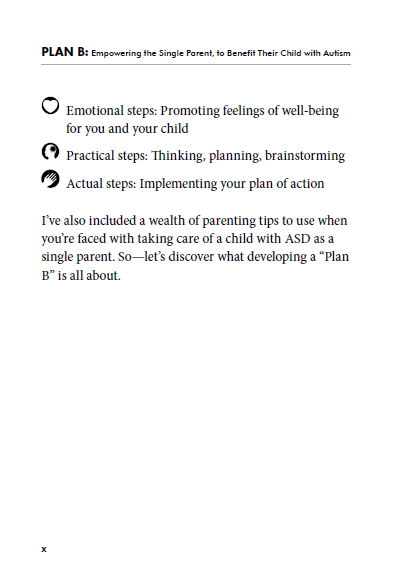 With interactive lists to help you to create your own emotional, practical and actual Plan B, this book is the resource that every solo parent of a child with autism needs. 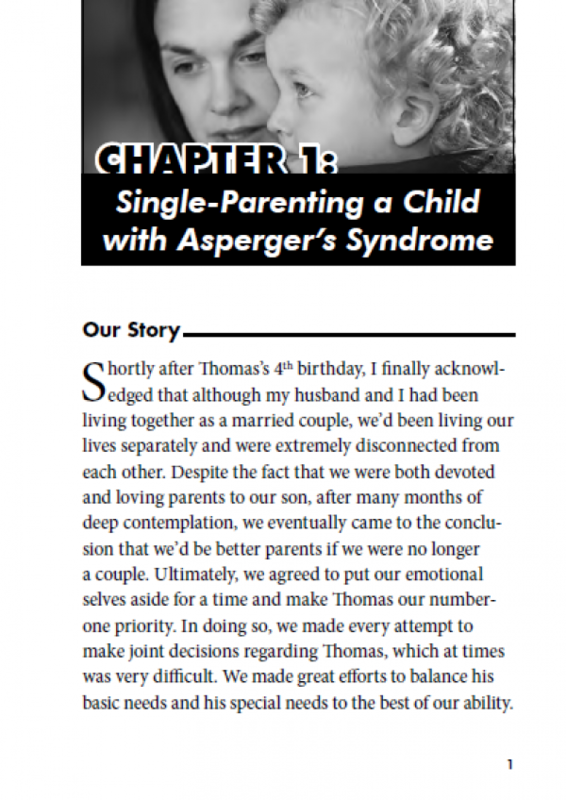 Each child’s journey towards adulthood and independence is unique. 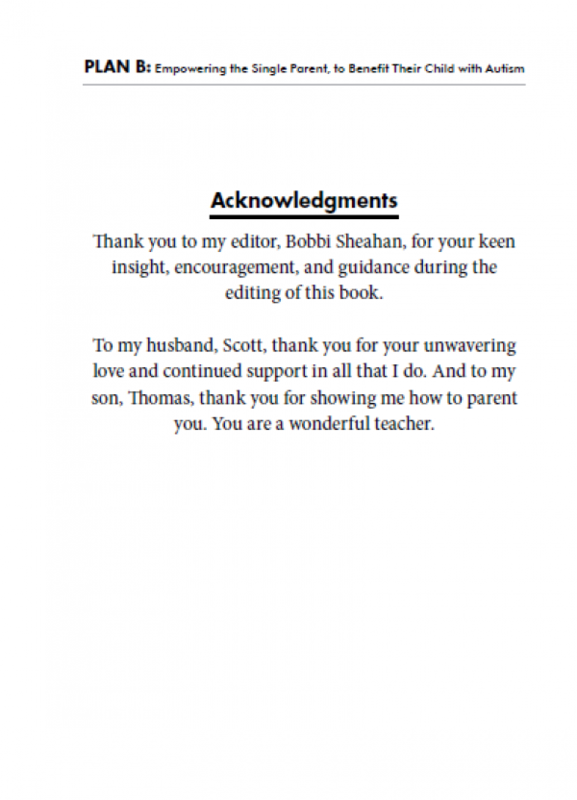 As each concept is presented, worksheets are provided for practical application of the solid advice that will help you and your child to thrive. 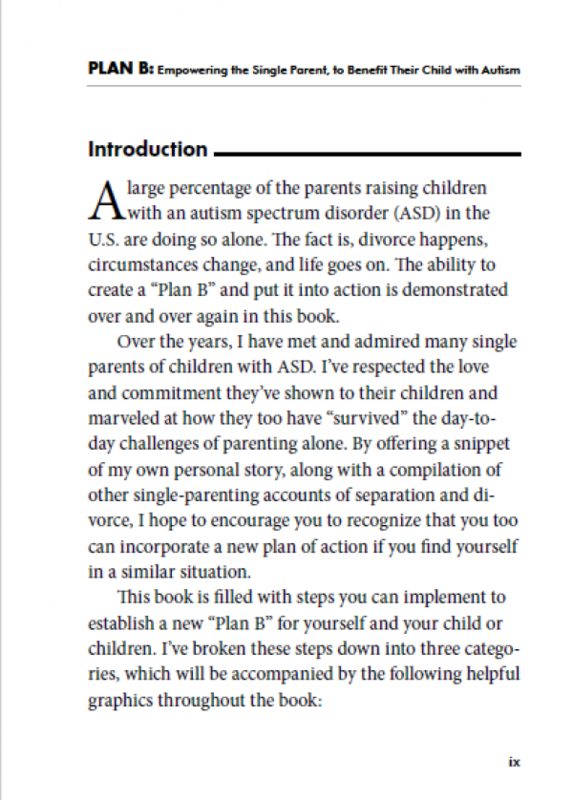 If you are a single parent helping your child with autism on that journey, Plan B will help you to identify and tackle the unique challenges that you face. If you are tackling the job of raising your child on the spectrumonyour own, Plan B is the resource you need. Written by Kara Barber-Wada, a single parent who successfully raised her son with Asperger’s Syndrome, she also founded and became the facilitator of a well-established support group for parents of children and teens on the autism spectrum, thus giving her an even wider range of understanding than her own personal experience. 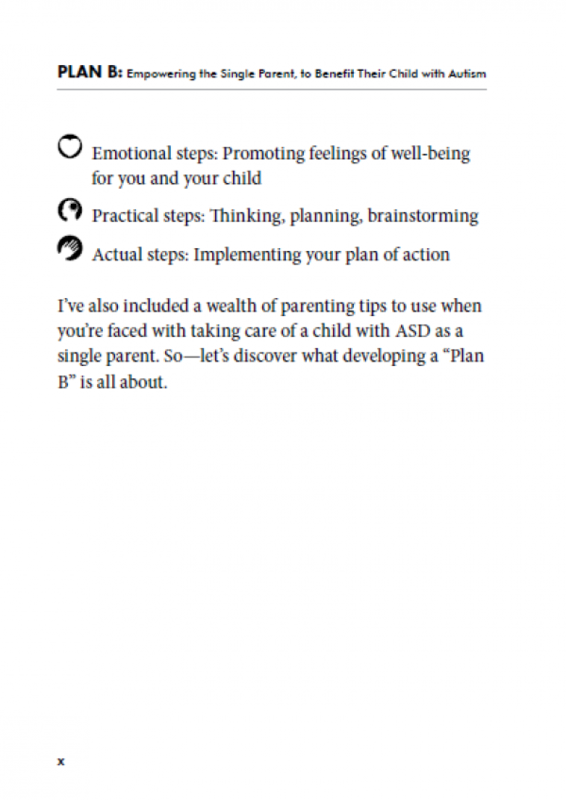 Plan B will help you make your own roadmap as a solo parent by offering interactive lists to create your own emotional, practical and actual PlanB. 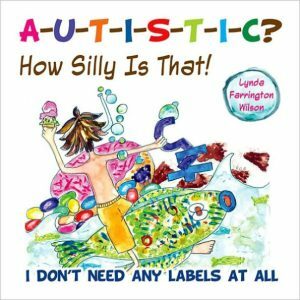 These lists will facilitate your identification of and ways to face the unique challenges that you face. 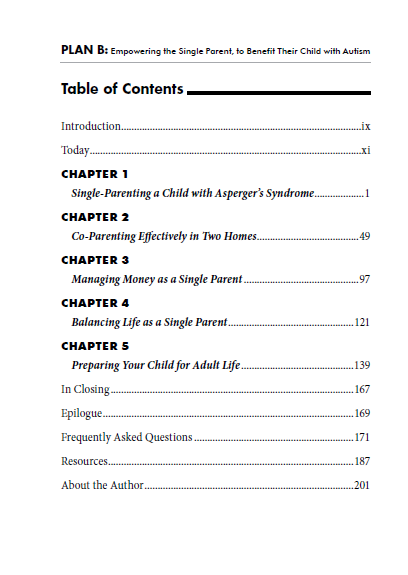 A large proportion of special-needs parents are single parents. 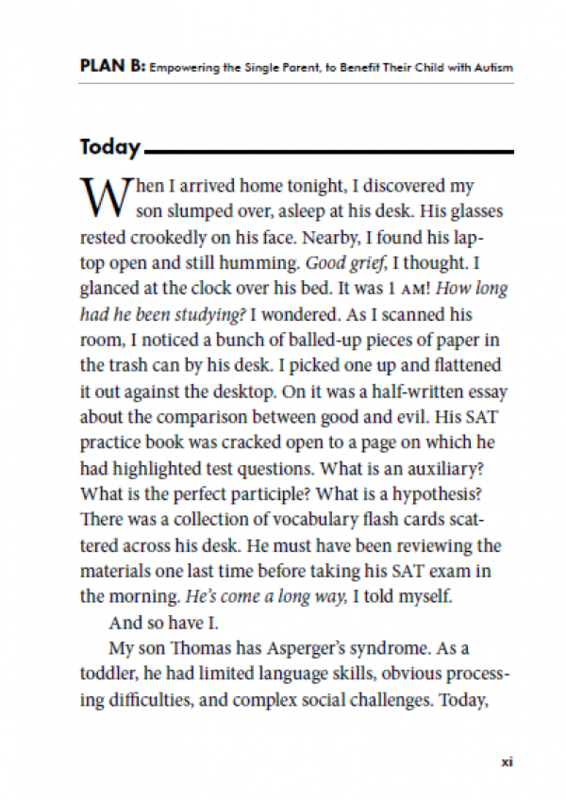 Within the autism community, some statistics place the number as high as 80% or 90%. 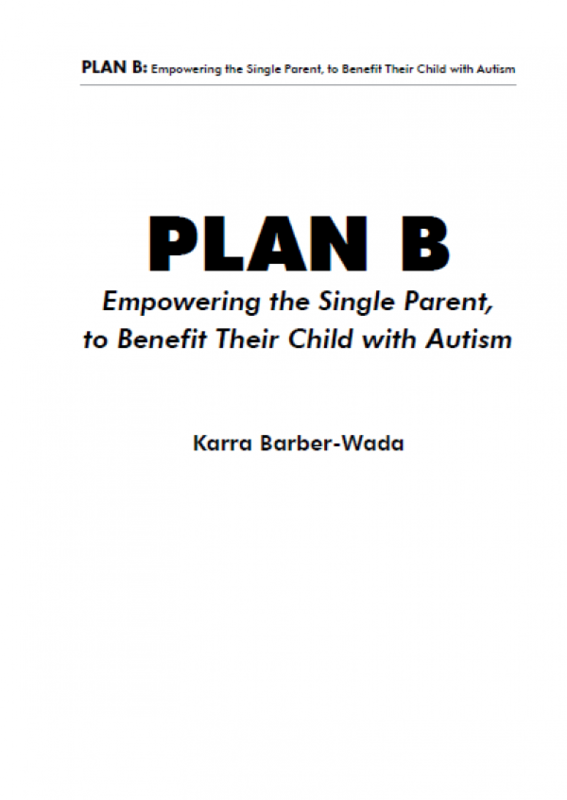 Karra Barber-Wada is a parent who has been there. 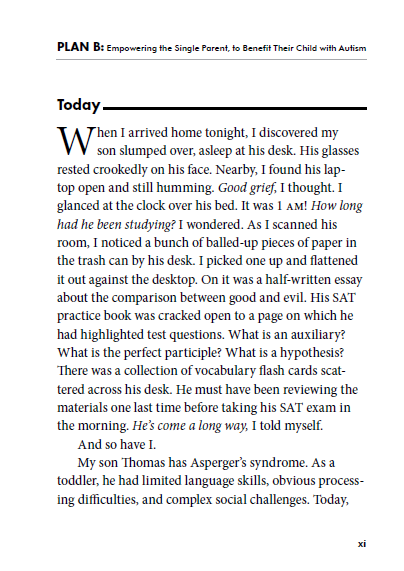 As a single parent, she successfully raised her son who has Asperger’s syndrome to adulthood. 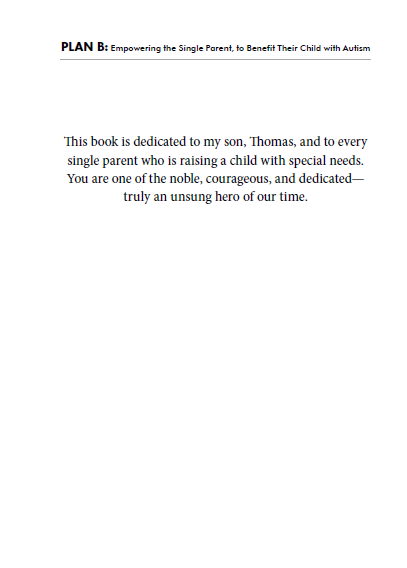 This book is full of concrete examples and practical tips to help the single parent who is dealing with the unique challenges of raising a child on the autism spectrum. 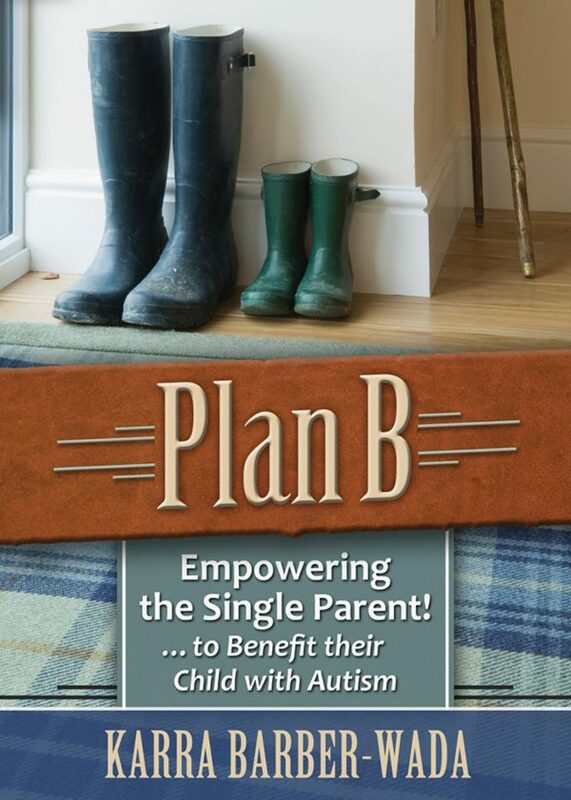 Plan B offers interactive lists to assist the parent in the creation of her or his own, unique Plan B.